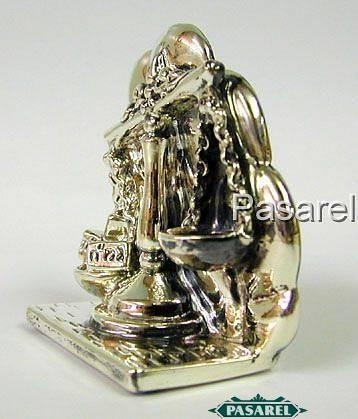 Sterling silver true scales miniature, Judaica. The miniature is beautifully executed, designed as highly detailed scales of justice. 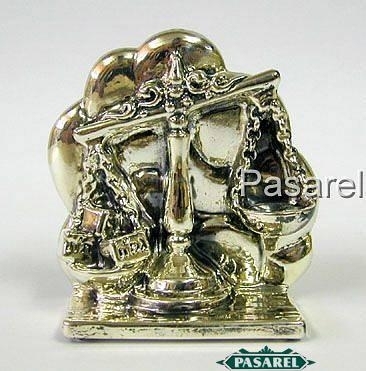 The back is inscribed in Hebrew Mozney Zedek Taase Lecha (You shall make the scales of justice). This item was made in the electroforming method. Height: 7cm. / 2.756in. Width: 6.5cm. / 2.559in. 49gr. / 1.575oz.